In the music business, songwriters make money with their songs through royalties and licensing agreements. Royalties are monies paid to a songwriter after someone else performs or broadcasts her song. Licensing agreements are contracts between a songwriter and other companies or individuals willing to pay money, often up front, for use of a song in a project such as a movie or television commercial. Seven types of royalties exist. Mechanical royalties come from items sold that contain a song, including CDs and downloads. Performance royalties come from live or recorded broadcasts of a song such as on the radio or in a nightclub. 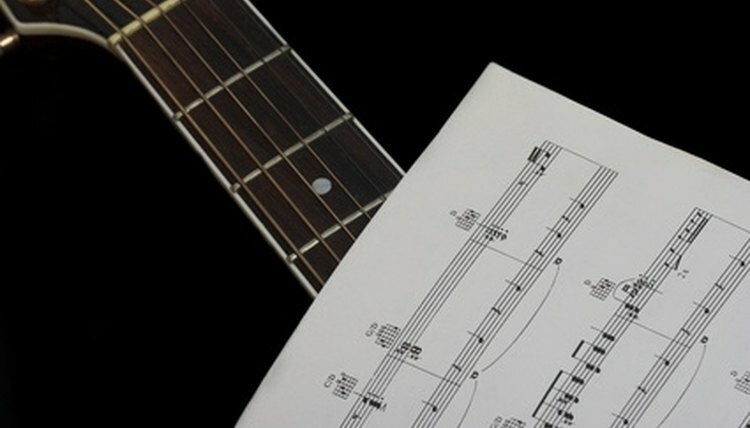 Print royalties come from the sale of sheet music. Digital royalties come from digital transmissions such as through satellite radio and mobile phones. Grand royalties come from live performance of a song in a theatrical production. Foreign royalties come from sales of a song in other countries. Synchronization royalties come from the use of a song in visual media such as movies, television shows, commercials or video games. Professional songwriters often join performance rights organizations to help them collect royalties. In the United States, the three main performance rights organizations are the ASCAP, BMI and SESAC. A songwriter can join only one of these organizations as a writer or, if not signed to a music publisher or record label, as a combination writer and publisher. Performance rights organizations track song use, collect royalties from broadcasters and pay royalties to songwriters. Deals vary widely. Many factors impact how much money is negotiated in licensing agreements or collected in royalties. A licensing agreement with a major movie studio to use a hit song from a famous artist as a theme song in a movie could involve hundreds of thousands of dollars in licensing fees and royalties. A licensing agreement with a local business using a song from a local songwriter on a radio promotion might involve just a few hundred dollars. Songs can be licensed for exclusive or non-exclusive use. Exclusive licenses will often involve higher licensing fees because the songwriter is restricted from using the song in any other way other than what the license dictates. Non-exclusive licenses are more common and usually involve smaller licensing fees because they allow the songwriter to continue to do what she wants with the song, even to freely license the song to others. Usually, the songwriter's attorney reviews every agreement involving licensing or royalties. Fisher, Christian. "Royalties & Licensing Agreements." , https://legalbeagle.com/6319842-royalties-licensing-agreements.html. Accessed 21 April 2019.